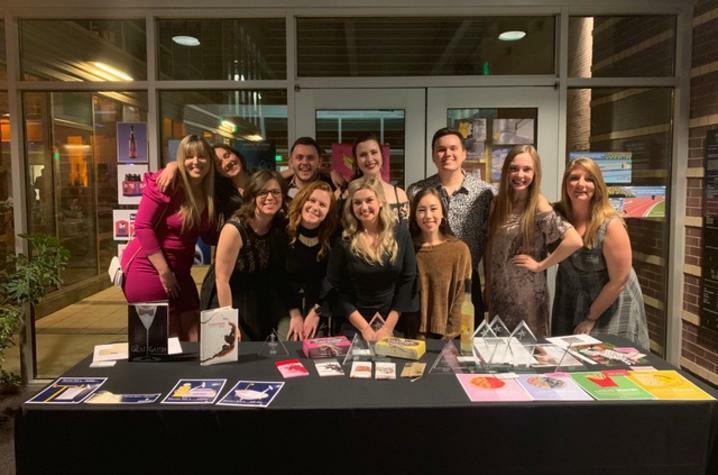 Several students in the College of Communication and Information’s Department of Integrated Strategic Communication (ISC) won accolades at the 2019 Student Division of the American Advertising Awards. LEXINGTON, Ky. (March 21, 2019) — Several students in the College of Communication and Information’s Department of Integrated Strategic Communication (ISC) won accolades at the 2019 Student Division of the American Advertising Awards conducted by the Lexington chapter of the American Advertising Federation (AAF). The awards ceremony took place in February at the historic Lyric Theatre and Cultural Arts Center. Robert Fischer, Elisa Diaz, Katie Swim, Rachel Friday, Abigail Yates, Rachael Freeman, Allie Graebe, Jaqueline Shmidt and Anna Nyberg: A Scoop Above the Rest Consumer Campaign. Kaylee Hoelscher: Fahrenheit 451 Book Cover. Kaylee Hoelscher was also named the winner of Ad Club’s $1,000 student scholarship. Formerly known as the ADDYs, the American Advertising Awards are the first step in a three-tier national competition annually conducted by the AAF and sponsored by Ad 2 National, a division of AAF. Gold-winning entries advance to district competition, where judges decide which work moves on to nationals. The AAF was established in 1905 as the “Unifying Voice for Advertising.” Headquartered in Washington, D.C., AAF boasts more than 200 local clubs across the U.S. and includes members across all disciplines and career levels in advertising. Its mission is to protect and promote the well-being of advertising. To learn more about AAF’s programs and initiatives, visit www.aaf.org.